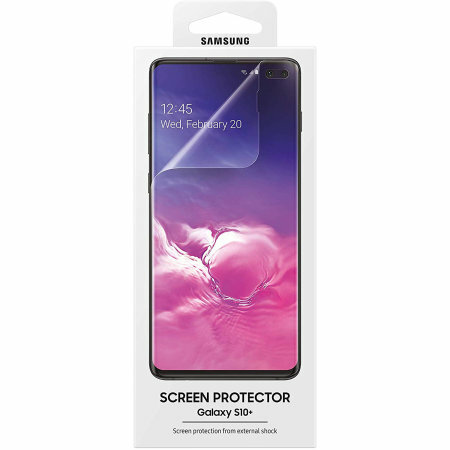 Keep your Samsung Galaxy S10 Plus screen in fantastic condition with the official Samsung scratch resistant screen protector. Samsung's own screen protector is soft transparent TPU, but thicker than the stuff you get on Amazon. It's actually that thick they have to pre-curve it to make sure it applies easily. Probably expensive for what it is but the protector goes on easily and seems very robust. And there's two in a pack. 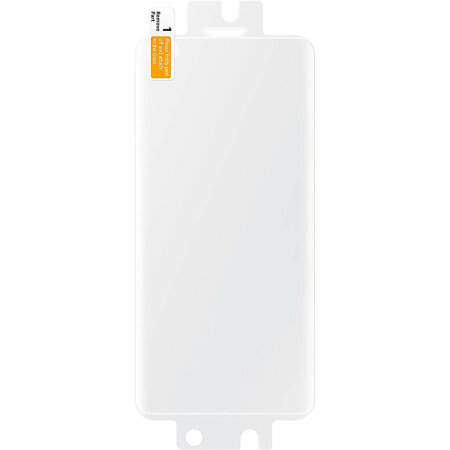 Manufactured by Samsung, these specialised screen protectors for the Samsung Galaxy S10 Plus help to keep your phone in top condition by protecting the display from scuffs and scratch damage.